The negative impact of the twin ills of state capture coupled with corruption has had a cumulative adverse effect across society as a whole, and on the South African economy particularly. These threats continue to inhibit economic opportunities and development, and undermine the public’s’ faith in our leaders and institutions. This policy brief unpacks the different levels and layers of corruption and what this meas for a building a more democratic society. Corruption, generally defined as the ‘abuse of public office for private gain’, is becoming so widespread in South Africa, that unless it is decisively tackled in this presidential term, there is a real danger that it will become entrenched as a ‘normal’ aspect of life in our country, where corrupt norms are accepted as how things are done. Once it becomes normalised within our society, it will be almost impossible to uproot. In many new democracies’ corruption is institutionalised. Public officials, business and citizens do not follow the formal rules established by country constitutions, laws and statutes. It becomes ‘normal’ that the allocation of public money, appointments to public institutions and policy-making are done on clientalist, patronage and corrupt means. There are different types of corruption. The first is the so-called ‘grand’ corruption in which public officials, elected representatives and leaders plunder the public resources on a large scale. It is the capture of the state by an individual. Typically, these include many ‘leaders’ who treat state resources as if it is their personal assets. ‘State capture’, is when state institutions, legislatures and even governing parties are owned by a political faction, small elite, a small number of companies or businessmen and women. The political group, faction or small elite or small numbers of companies systemically channel national public resources for their own self-enrichment. They manipulate policies, laws and rules to their own advantage, namely for their private gain, in illicit ways. They are particularly prevalent in countries in transition, whether colonialism, authoritarianism or in South Africa’s case from apartheid. In such countries the rules of the game are changing, contested, new, unclear or not yet settled; and the rule of law has not been universally embraced. Often countries in transition are in the process of implementing new economic reforms which produce “market distortions”, whether laws favouring one group such as black economic empowerment; or state-owned companies privatised cheaply to well-connected politicians and business leaders. Select businessmen and women, politicians and companies preferentially sell their products to the state, the state provides them exclusively with business funding or the state exclusively protects the trading or mining licences of favoured companies, politicians and businessmen and women; or lift universal public rules such as environmental protections for them. “Rent-seeking” is a form of corruption where the politically connected make easy money, get government, private sector contracts, mining rights and favourable policies just because of their closeness to the governing party, political leaders and government, without any merit, or without them having the ability or competence to perform. But rent-seeking also involves lobbying for policies which enriches one group, company or political faction, rather than the whole society. Rent-seeking also includes appointing politically connected cadres to both the public and private sectors. In ‘quiet’ corruption public servants deliberately neglect their duties to provide public services or goods. ‘Quiet’ corruption may not involve an exchange of money, but involves providers of public services such as teachers, nurses or other officials, bending the rules for their own private interests. ‘Everyday’ corruption is a form of corruption experienced by ordinary people on a daily basis. It could be a traffic official demanding a bribe for not handing out a speeding ticket, or a government official demanding a payment for providing a service they are paid for in any case. Political parties are public institutions because they secure power through elections, vote in public representatives and appoint officials to the public sector. They decide policies, determine how public resources will be spent and introduce new laws. If prominent leaders of the governing party are therefore corrupt, it is very likely that corruption will be tolerated by many of the party’s public and elected representatives. The ANC as a governing party has increasingly over the past few years been captured by corrupt elements. South Africa’s electoral system allows party leaders to handpick who gets appointed as Members of Parliament, provincial legislatures and councillors. Pliant, incompetent and ‘captured’ appointees ultimately preside over panels that approve appointments to crucial public offices, contracts and policies. ANC national elective conferences elect leaders according to slates, candidates for the national executive committee are elected on the basis of their alignment to one or the other leadership slate. Those aligned to the slate of the winning presidential candidate then get appointed to all leadership structures across the party, legislatures and government. They are immediately captured by the winning presidential candidate at the head of the slate – and make subsequent decisions not based on the public interest, but in the interest of their slate leader and faction. Many serve the party leader rather than the wider public interest. But many opposition parties, old and new, are also increasingly been dominated by corrupt figures. South Africa has now even the phenomenon whereby gangsters and criminals are even creating their own political parties now to contest local and national politics. A prerequisite for tackling party-political corruption, which erodes the whole state, private and societal system, is to introduce merit and transparency to all other internal party elections and appointments, adopt evidence-based policies and decisions. Democratic institutions, laws and policies are manipulated in such a way that although corruption is taking place it appears on the surface that outcomes were reached through ‘normal’ rules, procedures and processes. As a case in point, appointments to key democratic institutions, public offices and SOEs are packed with carefully chosen individuals who are in on the corruption. Appointments in such cases do follow the ‘rules’ – but the rules are being manipulated. The most competent candidates not part of the inner circle never makes it to the final list. Distorted selections for public office deters many competent, honest candidates who do not even apply. Procurement or tender processes of SOEs and public agencies are often also circumvented through standard, normal and legitimate rules. Specifications for services, including the price the entity is prepared to pay, are in some cases provided to preferred bidders, long before the official bidding. In some cases, companies are specifically asked to bid for a contract; or given to a company on the basis that the company will partner with family members, political or business allies of corrupt officials. It is important for civil society groups, independent watchdogs, the media and concerned citizens to check who have applied for key public jobs, but never made it to the shortlist, and to question why they did not. Similarly, to ask for the longlist of companies who bid for government contracts and compare that to those who eventually received the contract. Traditionally trusted professions, such as auditing, the medical professions and professional associations are increasingly being corrupted. Regulatory, oversight and watchdog institutions – which are supposed to hold the public and private institutions accountable are also being seen as corrupt. In some cases, these institutions do not enforce standards, or look the other way, either because of willful negligence, bribery or simply because they are dominated by corrupt individuals. Traditional and cultural institutions are increasingly captured – traditions are often manipulated to enrich a few corrupt traditional leaders, chiefs and kings and to suppress the vulnerable, the desperately poor and the well-meaning, but naïve. Increasingly self-interested traditional leaders, chiefs and king invent new traditions, customs and cultures to use to strengthen their own power. Some corrupt public officials again claim falsely that receiving gifts for “services” rendered is acceptable in their version of African culture. Religious institutions are also increasingly captured, with opportunists abusing the trust of the spiritually desperate to enrich themselves. New churches are mushrooming and specifically set up to enrich opportunists’ pastors under the guise of providing spiritual services to the needy. Even some civil society organisations, such as trade unions and NGOs are also increasingly found to be corrupt, being used for self-enrichment. In some communities “civil society” groups are being set up in the guise of “concerned” “community” organisations to specifically secure bribes from local businesses. But corrupt individuals are increasingly setting up “NGOs”, to get business allies to channel money from government entities to such “NGOs” under the guise of “corporate social responsibility”, community “development” or “empowerment”. “is corrupt not when it is wrong or untrue, but when it is strategically duplicitous, intended to deflect, dissimulate, distract, or otherwise obscure the claims of those who speak, in order to secure private or professional gains”. Supposedly progressive ideologies are often being manipulated or corrupted in the public discourse for selfish interests – rather than in the genuine interests of would-be beneficiaries that it is supposedly serving. Opportunists under the guise of public agitation for concern for the poor, desperate and vulnerable, manipulate struggle slogans, beliefs and rhetoric, to enrich themselves. Legitimate historical redress needs, such as land reform, and social justice causes are increasingly being manipulated for selfish interests. Struggle slogans are also increasingly appropriated to corruptly mobilise the masses; so as to increase their popularity and the possibilities of being elected into public office, for those who do so. Since the end of colonialism many African leaders and independence movements turned governments have used colonialism, apartheid and white-minority control of their economies to cover their own incompetence, mismanagement and corruption. Many African leaders and governments have covered up their own corruption and incompetence, by blaming the very real global dominance of former colonial powers and their companies, and their interference in the domestic issues of African and developing countries, for their (African governments and leaders’) own corruption and incompetence. Former president Jacob Zuma built an R240m mansion while his supporters live in squalor. Zuma blamed it on “white monopoly capital”, and Western “imperialists”, meaning former colonial powers countries, who wanted to destabilize his presidency. Former Zimbabwean President Robert Mugabe plundered the state to enrich himself, his family and political allies; pursued poorly thought-out populist policies to shore up his support; and terrorised domestic opponents causing the collapse of the economy. After being in power since 1980, Mugabe blamed it on white farmers, former colonial power Britain and domestic black “puppets” of “imperialists”. Relatedly, in South Africa, blaming “white monopoly capital”, the short-hand for foreign companies, local white-owned companies and industrial country dominated global markets, have increasingly been used for similar self-enrichment. Fake news, fake conspiracies and fake allegations on social media are also increasingly corrupting the public discourse. Opportunists use social media to engineer debates blaming the old straw men such as “white monopoly capital”, and Western “imperialists” and colonialism to either advance their own personal interests or attack people they see as opponents by portraying them, if black, as “puppets” of all of these “evil” forces. The myth that corruption has no victims is a dangerous fallacy. Corruption is the reason for South Africa’s low economic growth rate, the recession and the country being assigned junk status by global rating agencies. Falling into a recession almost immediately cuts more than 200 000 jobs. Former president Jacob Zuma’s firing in December 2015 of former Finance Minister Nhlanhla Nene for allegedly stopping corrupt deals cost the economy more than R500bn, and 148 000 jobs were lost by this single event. Public Enterprises Minister Pravin Gordhan testified at the Zondo Commission of Inquiry that former president Jacob Zuma’s firing in December 2015 of former Finance Minister Nhlanhla Nene for allegedly stopping corrupt deals cost the economy more than R500bn. Gordhan said the “market value of the country’s 17 biggest financial and property shares fell by R290bn. This figure excludes the remainder of the equities market that was also hard hit by the decision. South African bonds lost 12% of their capital value (R216bn)”. The value of the rand plunged. The rand depreciated from R13.40 to R15.40 US dollars overnight. The plundering of VBS Mutual Bank caused poor black pensioners and stokvels to lose the little savings they have. Municipalities which deposited their money corruptly at VBS are now without funds for public services and deprived long-suffering citizens of municipal services. The municipalities that deposited their money in VBS do not have the funds to pay salaries. The collapse of the VBS Bank also caused massive job losses. Businesses that fed into and fed off VBS Bank subsequently also collapsed. Corruption undermines the delivery of public services, slows economic growth and stunts development. Corruption diminishes public funds for public services, such as health, education and crime fighting. Government has to reduce costs i.e. cut public services and welfare programmes. Appointing incompetent managers and staff to run public hospitals, who in turn mismanage hospitals and corruptly give contracts to supply medicines to associates, causes patients who go for routine treatment, to die in public hospitals. Losing a job causes family breakdown, mental illness, and a rise in crime as people turn towards crime. Corruption causes many potential foreign investors not to come to South Africa. Many local entrepreneurs reduce current investments and shelve new investments. Corruption causes deindustrialisation, with products that were produced in South Africa, that provided local jobs, investment and income, rather being displaced by foreign imports. Foreign imports create jobs in their countries of origin and cause an outflow of scarce money out of South Africa to pay for the imports. Politically connected middlemen, with shell companies, or no industrial experience, often win government contracts, to supply products and services to government under the guise of BEE. Conditions of the government contracts include using local products, labour and services. However, these BEE “companies” after winning the contracts, get foreign companies to deliver the required products, without using local products, labour or services. Legitimate SA companies’ who are outbid for the government contract won by the “BEE” bidder, often go under, closing down factories, causing job losses and causing the manufacturing capacity to be lost to SA. Companies that supplied inputs to the local firm also go bust, with additional downstream job losses. In 2017, parliament agreed to hold an inquiry into Transnet following allegations that the Gupta family, associates and companies received backhanders as middlemen from locomotive deals in a contract in which China South Rail was supposed to build locomotives in South Africa using substantial local products and services. However, it turned out that none of the CSR locomotives, which were priced at R50m each, were assembled in South Africa. Systemic corruption erodes the credibility and legitimacy of, trust in and support for democratic constitutions, institutions and laws. Policies, however well-intended, will lack credibility and fail to secure citizen, business and civil society buy-in if there is a perception that government is corrupt. Corruption undermines the power of ordinary citizens to influence decision and policy-making as decisions and policies have been bought by small elites. Corruption undermines attempts to build democratic cultures. US political scientist Mark E. Warren wrote: “When people lose confidence that public decisions are taken for reasons that are publicly available and justifiable, they often become cynical about public speech and deliberation. People come to expect duplicity in public speech, and the expectation tarnishes all public officials, whether or not they are corrupt”. Corruption makes ordinary withdraw from public life, engagement and active citizenship because they have lost trust in their ability to affect change amidst the debilitating official corruption because they believe captured democratic institutions are of no use to them. People withdraw into laagers, whether family, tribal or race laagers for support. Corruption leads to citizens looking towards alternative governance systems to regulate their lives, whether religious and traditional fundamentalism, gangsterism and populism. Those marginalised because of corruption seek answers in violence, religious, ethnic and political extremism. Corruption, therefore, breeds instability, violence and extremism. How can we stop the pervasive culture of corruption? Corruption should be declared a national emergency. This would mean also ending the dangerous defensiveness, and in some cases denialism prevalent in some government and political circles over the high levels of corruption. The ANC itself must legally, socially and politically punish the bad behaviour of its leaders and members and reward good behaviour. Senior party leaders, ministers and public servants who are corrupt, even if they are powerful in the party, must be sacked. Only if that is done publicly, will government restore the moral authority to deal credibly with transgressions from ordinary citizens and compel citizens to follow the rules. The ANC (and other political parties) must bring in more competent, honest and more decent leadership, at all levels. A system of merit must be brought into the internal party elections. Candidates must be judged on the basis of competence, moral character and genuine commitment to public service. The active encouragement of new leaders, with better value systems, rather than good struggle credentials may help develop a societal change in values. Merit-based appointments to jobs in the public service and in politics will come a long way to reduce the patronage system of jobs for pals, which fosters corruption. It would be important to professionalise South Africa’s public service. More transparent methods for appointments to public office should be introduced, including making outcomes of decisions publicly available. The CV’s of those who have applied for key public positions but who have not been shortlisted, must be publicly made available so that the public can see how those who were appointed, compared to those who were not – and so combat patronage appointments and the sidelining and marginalisation of competent, but critical voices to crucial public positions. Corrupt officials and politicians should be prohibited from employment in the public sector. Corrupt businesses and individuals should also be barred from doing business with the public sector. Corruption in business is often not taken seriously by business leaders, globally or locally. For instance, collusion practices, where prices are fixed between companies to the detriment of poor consumers, are rarely seen by companies to comprise corruption. Companies trading on government contracts to adhere to a set of ‘integrity’ standards, in which they foreswear corrupt activities. Civil society could monitor whether such companies adhere to these standards. Civil society, trade unions, social movements and NGOs should shame and put pressure on corrupt business so that they can feel the reputational effects of corrupt activities. It would be worthwhile for organised business in South Africa to spearhead a collective effort to force major companies to forego corrupt practices. The solution to corruption is increased transparency. “Open access to information provides a basis for government accountability and raises the barriers against capricious, self-serving intervention. Without accurate and detailed information, it is difficult to assess company and board performance set targets and allocate capital efficiently”. To be a whistleblower, whether in the public or private sector, in South Africa is potentially life-threatening. Anti-corruption crusaders in South Africa and in other developing countries are vulnerable to attack from powerful corrupt politicians, business and criminals. At present, public perception is that whistleblowers are more likely to be prosecuted than the corrupt individuals. It is imperative that this changes, even if this means enacting a whistleblower protection law. There has to be enforcement of internal anti-corruption controls within the state. Sadly, enforcement and compliance in the public sector have often been low, thereby opening up the system to corruption. There have been calls for corruption to be called a crime against humanity because of the deadly impact it has on lives, the destruction of economies and the breakdown of societies’ that corruption leaves in its trail. There is a convincing argument to make corruption a crime against humanity. One mechanism to encourage activism could be the establishment of citizen or community forums directly corresponding to government departments which monitor service delivery and the progress of complaints. The debate on corruption is often racialised, thereby undermining the fight against it. On some occasions leading public figures, if black, have accused critics, if white, of being racists, if they point to wrong-doing. However, playing the racism card for self-enrichment at the expense of the public good, or to deflect attention from individual wrongdoing constitutes aiding corruption. Similarly, for some white South Africans to broadly view corruption or incompetence by individual leaders, if black, as a general failure of all blacks rather than seeing it in the context of a specific corrupt individual, whatever the colour, politics or class, is also wrong. What we should not do in our bid to debunk outrageous racial generalisations is defend individual incompetence, wrong-doing and even corruption, just because the person is black or white. While apartheid left a corrupt legacy, it cannot be blamed for current corruption. Blaming the legacy of apartheid – although certainly with us – has become an easy answer for not acting against corruption. While the apartheid system was corrupt, in 1994 South Africa established a new democratic dispensation, which is supposed to hold public and elected representatives to higher standards, values and behaviour, not the same as those of apartheid. In the long term, the best antidote to corruption is to foster the values of the South African Constitution across society. Firstly, the Constitution must be widely accepted as the supreme governance framework for all laws, values and cultures. Cultural practices that undermine the core constitutional values cannot and should not be defended. This means that traditional law, justice and norms must be subject to the Constitution. There cannot be a parallel system of governance to that of the Constitution. Fjelde, H., & Hegre, H. (2014). Political corruption and institutional stability. Studies in Comparative International Development, 49(3), 267–299. Jong-sung, Y., & Khagram, S. (2005). A comparative study of inequality and corruption. American Sociological Review, 70(1), 136–157. Kolstad, I., & Wiig, A. (2016). Does democracy reduce corruption? Democratization, 23(7), 1198–1215. McMann, K. M., Seim, B., Teorell, J. & Lindberg, S. I. (2017). Democracy and Corruption. A Global Time-Series Analysis with V-Dem Data. V-Dem Working Paper 2017:43. https://ssrn. com/abstract=2941979. Olteanu, T. (2012). Korruption in der Demokratie. In T. Olteanu (Ed. ), Korrupte Demokratie? (pp. 267– 294). Wiesbaden: VS Verlag für Sozialwissenschaften. Rock, M. T. (2009). Corruption and democracy. The Journal of Development Studies, 45(1), 55–75. Shen, C. (2005). Corruption, democracy, economic freedom, and state strength: A cross-national analysis. International Journal of Comparative Sociology, 46(4), 327–345. Sung, H.-E. (2004). Democracy and political corruption: A cross-national comparison. Crime, Law and Social Change, 41(2), 179–193. Uslaner, E. M., & Rothstein, B. (2016). The historical roots of corruption: State building, economic inequality, and mass education. Comparative Politics, 48(2), 227–248. Warren, M. E. (2004). What does corruption mean in a democracy? American Journal of Political Science, 48(2), 328–343. Warren, M. E. (2004). ‘What does corruption mean in a democracy?’ American Journal of Political Science, 48(2), 328–343. 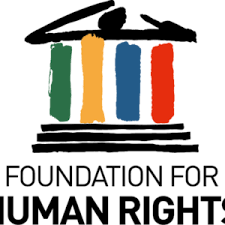 *This policy brief is taken from a Keynote address presented at the Foundation for Human Rights Annual General Meeting (AGM) on 22 February 2019, Pretoria, South Africa.